Even though it is not likely that Chicago will be hit by large-scale natural disasters such as hurricanes, tsunamis or earthquakes, there are still issues that may arise that can cause disaster damage on your home or business. Floods, rain storms, snow storms, extreme cold and powerful winds can all impact your property enough to require professional water damage repair. 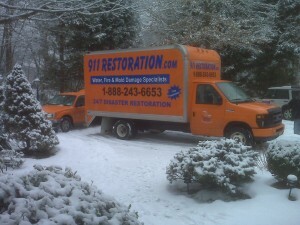 911 Restoration Chicago is available 24/7/36 to make sure that you get these remediation services the moment disaster strikes. Acting quickly is imperative to a successful home flood cleanup, especially when a storm is raining water directly onto your property or a surge has caused your basement to completely flood. We understand that different types of disasters require various remediation techniques, but our disaster restoration Chicago experts want all of our customers to know we are trained to handle anything thrown our way. To limit the severity of the water damage and salvage your possessions, we guarantee to arrive at your residential or commercial property within 45 minutes of receiving your call, so contact us today! Chicagoans have definitely felt the way climate change has impacted the Windy City with the increase of intense storms. Heavy rain has a different way of affected urban communities. With all the paved streets, sidewalks and parking lots, there is less soil present to absorb the rainwater. Even though there are reservoirs and tunnels, they were not designed to handle the amount of water that today’s storms are producing. This creates flooding since the water has nowhere to go except inside of nearby homes and businesses. Most of the time this water ends up seeping to basements and subfloors. 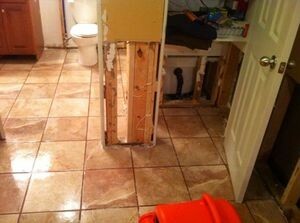 When basement flooding occurs the emergency water removal services need to be conducted immediately. 911 Restoration Chicago is qualified and trained to provide property owners with same day basement flood repair services, no matter how severe the disaster damage may be. So, call us when you need emergency water cleanup in your basement and we will assist you today. Along with rainstorms, Chicago is heavily impacted by blizzards. These intense snowstorms have also been happening more frequently and with greater ferocity, which creates power outages, water damage and wind damage on any property in its wake. Strong winds and heavy snow can easily knock over trees and down power lines, creating large-scale power outages. This can lead to dangerous driving and living situations. If a loose tree branch falls into your property it can break a window or crash through your rood, exposing it to the outside elements. When a disaster of this magnitude occurs it is important to get help right away to limit the damage and keep you safe. Along with knocking out the electricity, the impact of the storm can damage your home or business. Wet snow can seep into cracks in your property’s foundation, causing water damage. We understand that waiting for the storm to pass is sometimes not an option and we want to make sure you get the restoration services you need the moment you need them. 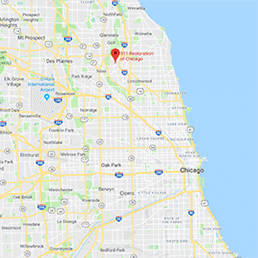 Call our disaster restoration Chicago experts the moment you experience any type of disaster in your home or business and we will act fast to begin water damage repair services today.